Florence Ester Williamson, 102, passed away at 7:55 p.m. on August 2, 2018 at St. Clara’s Manor. Florence was born on January 31, 1916; daughter of George and Elsie (Karg) Grathwohl. She married Charles Williamson on March 16, 1943 in St. Charles, MO. He preceded her in death on January 6, 2001. Surviving Florence is her son: John (Diane) Williamson of Normal, IL; one grandchild: Jennifer (Travis) Gibson of Hudson, IL; two great grandchildren: Jared and Rachel Gibson both of Hudson, IL. She was preceded in death by her parents, one brother, and one niece. 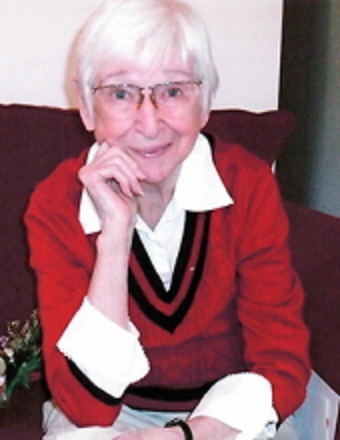 She was a member of Faith Lutheran Church and Amvets, VFW Auxiliary. She worked at Parker and Son Title Company and was a bookkeeper for the state of Illinois. Private family services for Florence will be held at a later date. Memorials may be made to Lincoln Public Library or Alzheimer’s Association. Services are entrusted to Fricke-Calvert-Schrader Funeral Home in Lincoln, IL.